No matter where your customers are in the world, you can still give them stamps without needing to physically scan their card! 3. 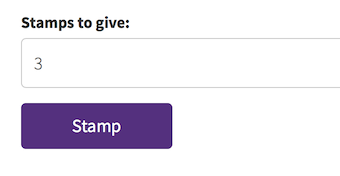 Click on 'Give Stamps' at the top. 4. Enter the number of stamps you want to give this customer and click 'Stamp'. And that's it! Stamps issued!